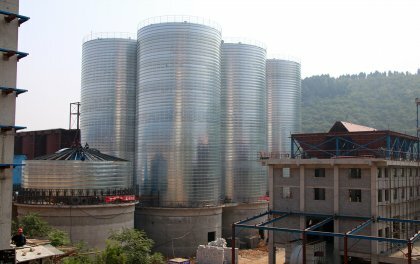 Lime silo is one of the most commonly used methods for the lime storage industry. 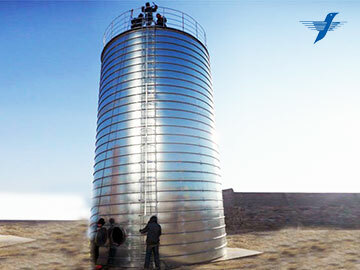 Flyer adopts advanced Germany silo construction technology, and the building technology is unique. When constructing, first feed the 495 mm wide coil sheet by a decoiling machine into a bending machine. 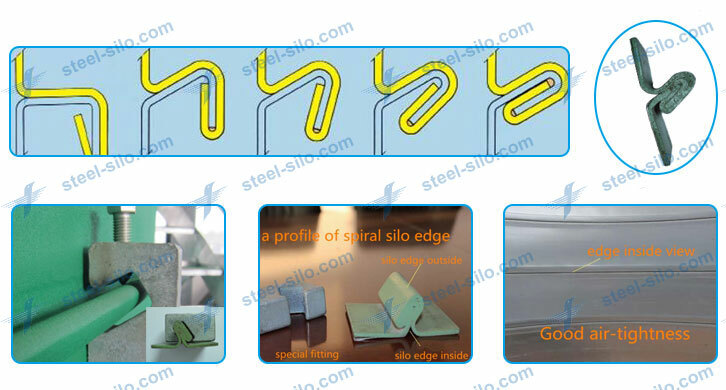 Through bending, seaming, and then through the forming machine rolling into needed geometric shape, around the silo lateral forming a 30-40 mm wide, encircling spiral protruding strip on the structure playing the role of strengthening silo. 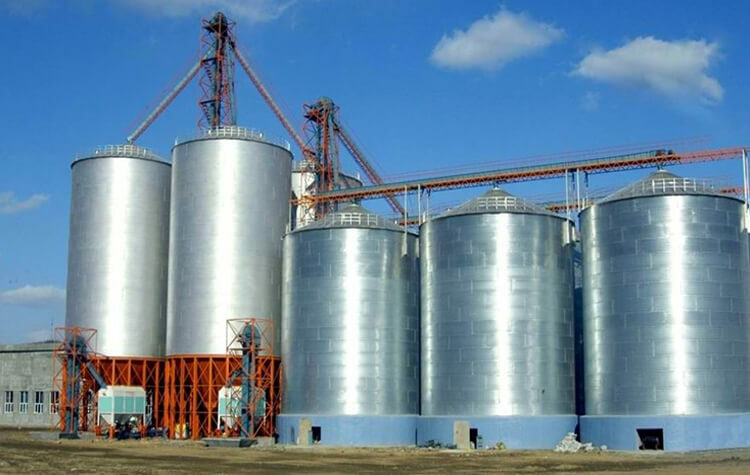 For two different kinds of materials, silo construction equipment also can realize double bending processing. 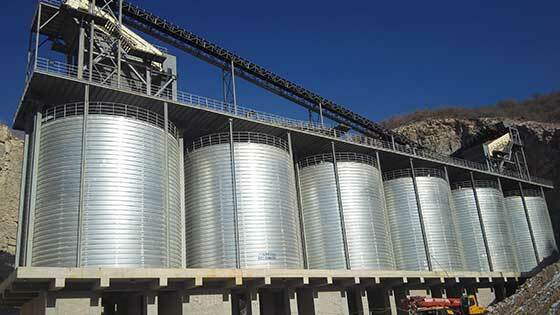 What are the features while constructing lime silo? 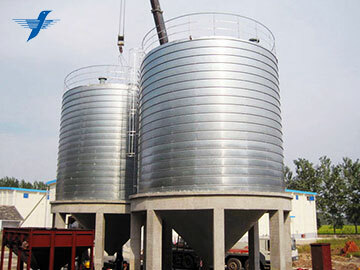 Spiral steel silos are on site operation and the silo top is ground installation. There is no need of scaffolding and other auxiliary facilities. 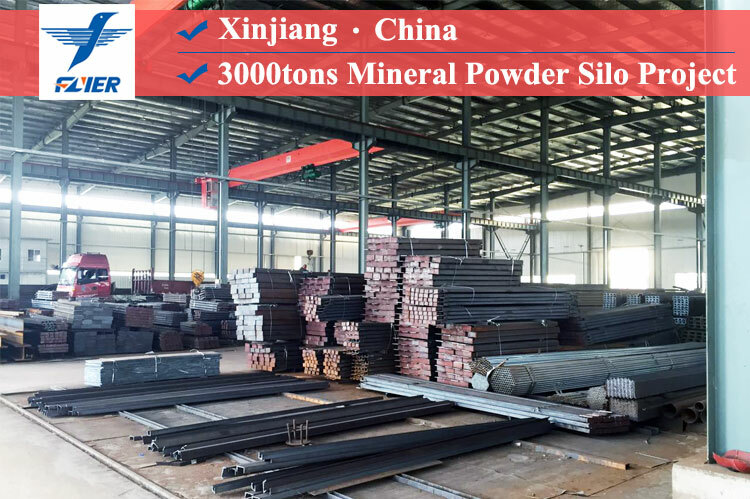 Flyer lime steel silo is also spiral designed without any spike or screw, the steel plate margin is totally seamed by seaming machine. It brings much convenience to the construction process and saves labors. 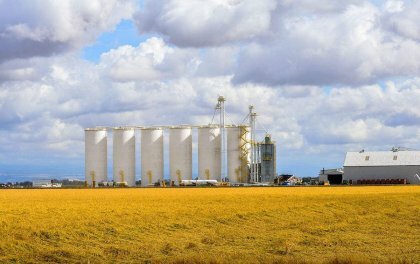 Silo construction equipment can work at the speed of 3-5 m/min of forming and bending, so the construction period could be much shorted. 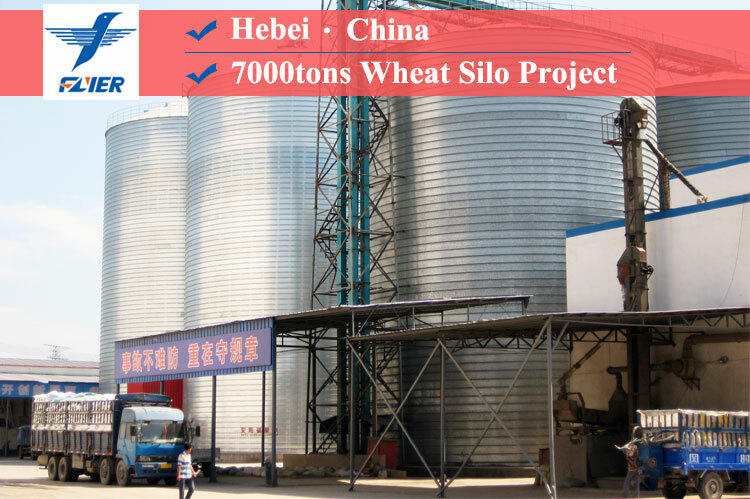 We only need a truck to deliver the silo construction equipment on site, so the transport cost is quite low. 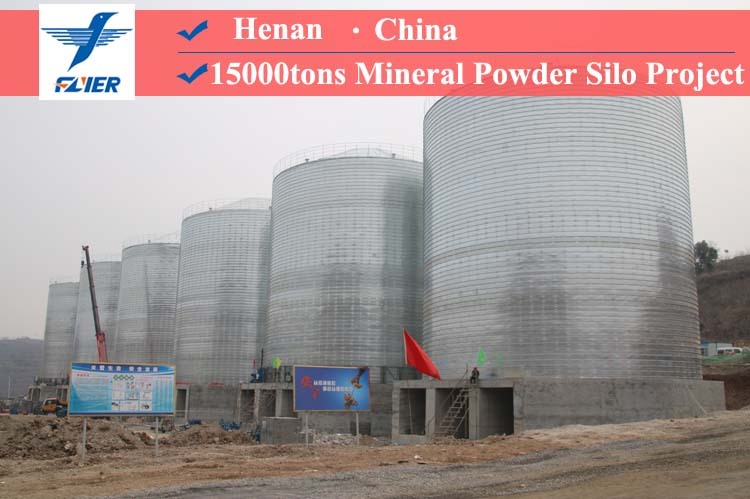 Spiral silos are made of thin galvanized steel coil sheet and with only the equivalent of the capacity of cement bin rebar weight, so the construction cost is much lower. 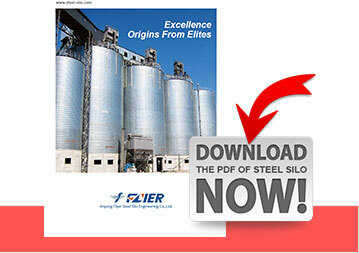 Why should you choose flyer lime silo? Lime in storage and transportation should be paid attention to fire prevention, explosion proof. Because of quick lime slaking under the influence of water will release a large amount of heat, be care to prevent burn out transport or start a fire. Quick lime can't be stored with inflammable, explosive and liquid goods, in case of causing fire and explosion. Avoid contact with acids content, and shorter operation time, the better. Pay attention to respiratory protection while working, wear with dustproof fibers overalls, gloves, airtight and dustproof glasses, smear ointment containing fat, in order to prevent dust from entering. Prohibit eating, once entry, rinse with water immediately and seek treatment ( remember that can't drink). Lime is rigid inorganic gelled material and calcium oxide is its main ingredient. It is made of high calcium carbonate content such as limestone, dolomite, chalk, shells ,and then calcine the product of 900 ~ 1100 ℃. Lime is most afraid of water and next is CO2, or it would change its nature. Lime is widely used for a variety of applications such as steel making, waste water treatment, air pollution control, acid neutralization, building and construction engineering. With good leakproofness, lime can be stored in Flyer steel silo for a long time.